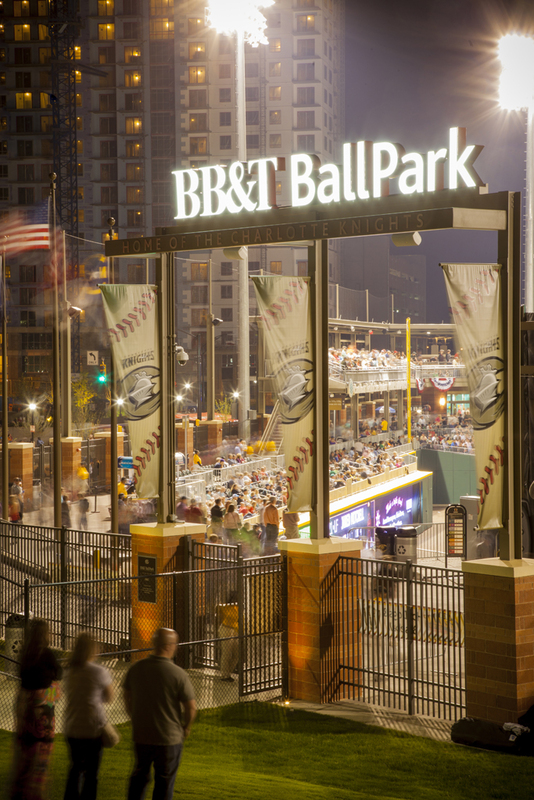 Charlotte Knights play opening game at BB&T Ballpark - Rodgers Builders, Inc.
After years of waiting, baseball fans can watch a game in uptown Charlotte. 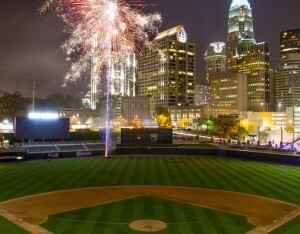 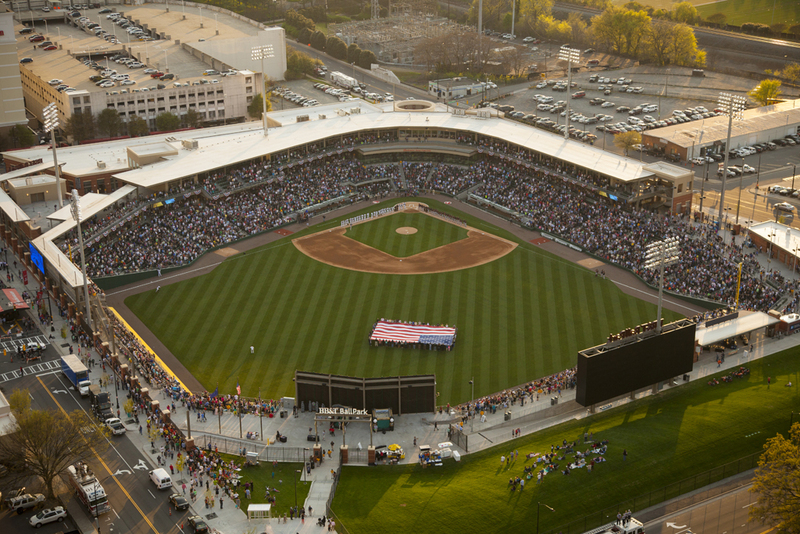 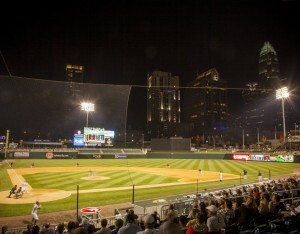 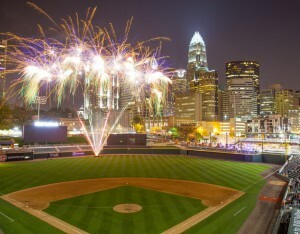 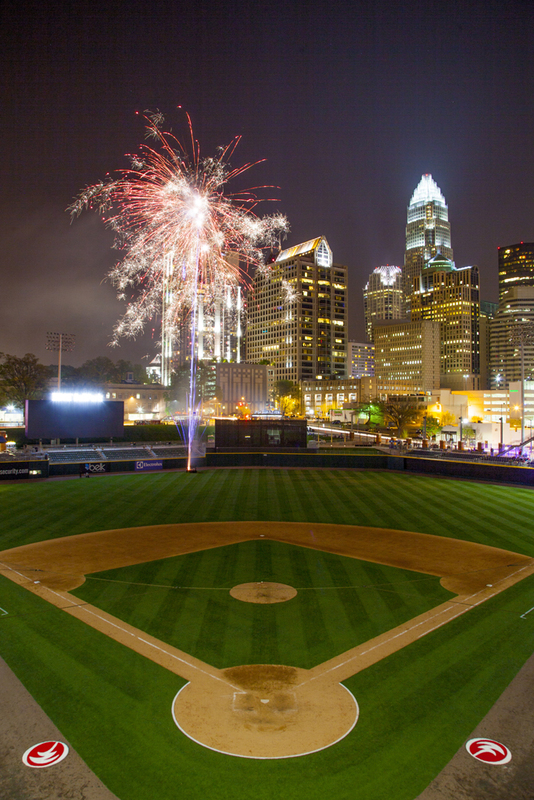 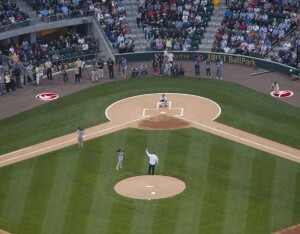 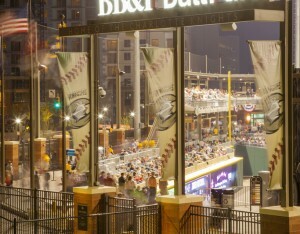 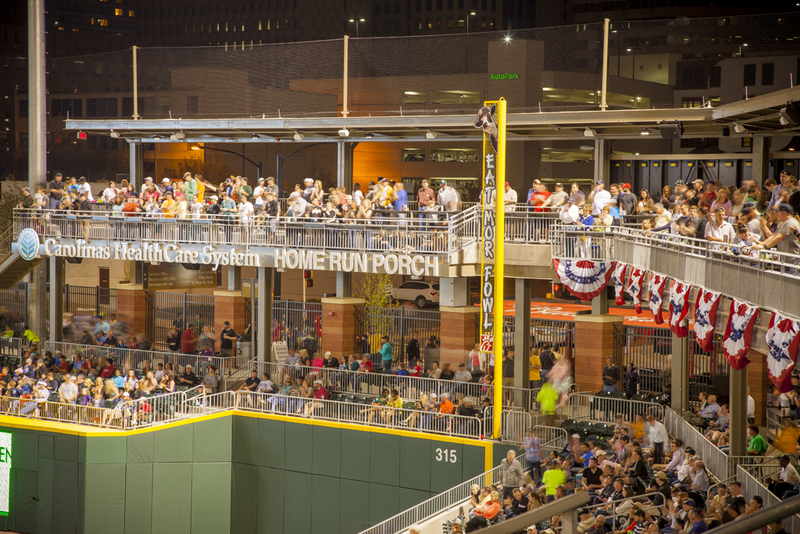 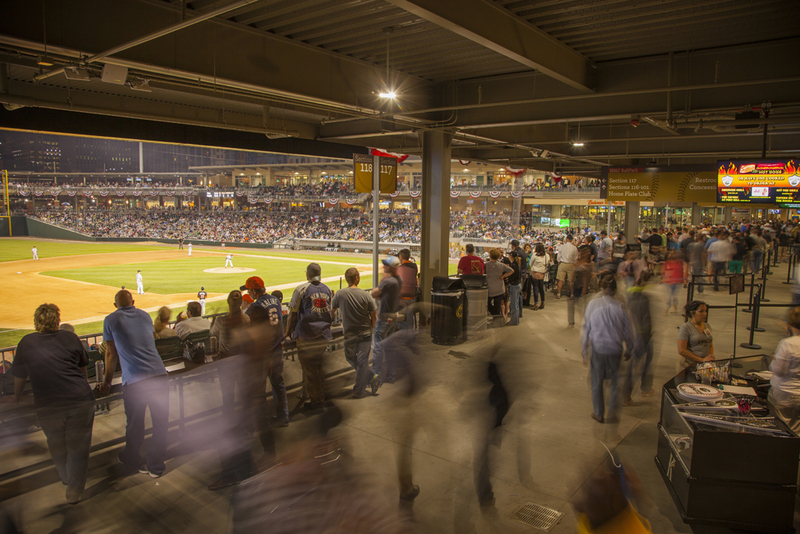 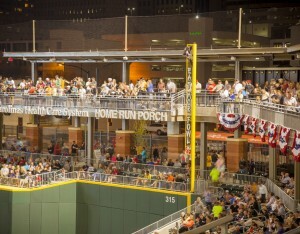 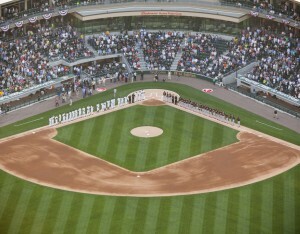 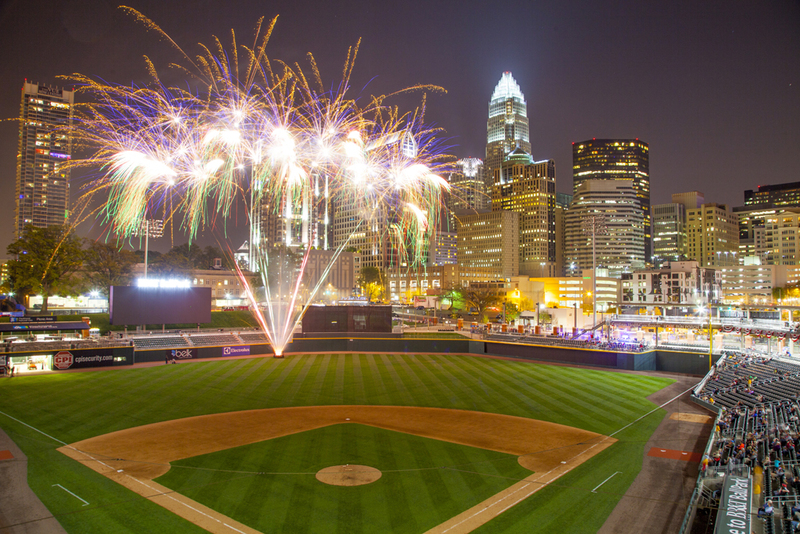 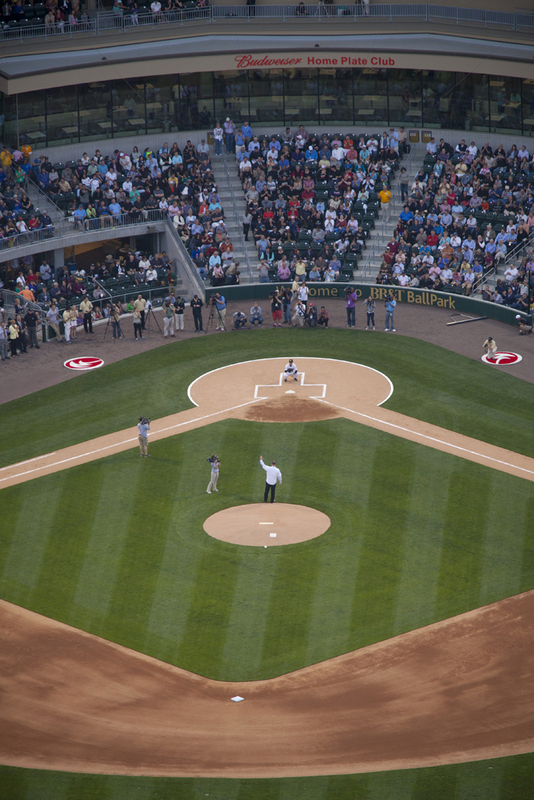 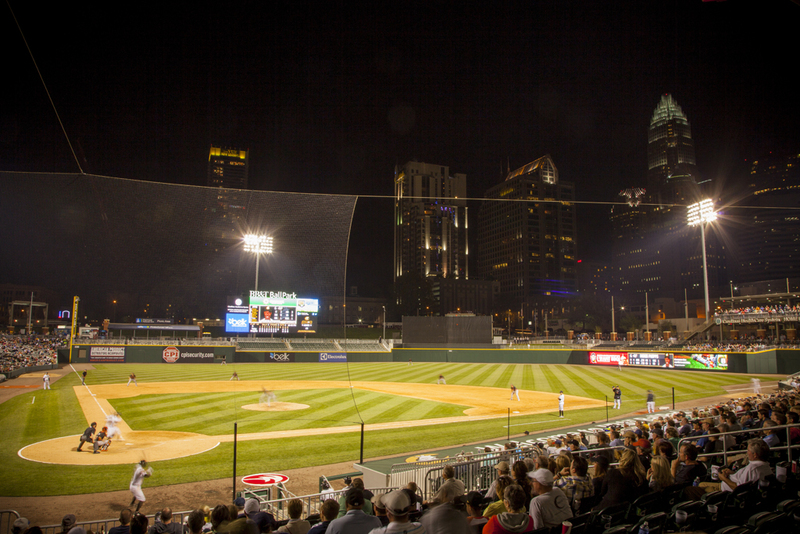 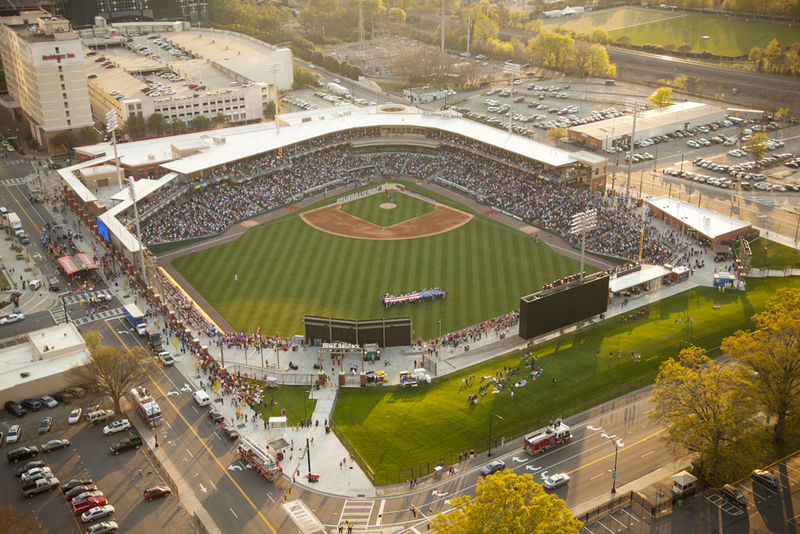 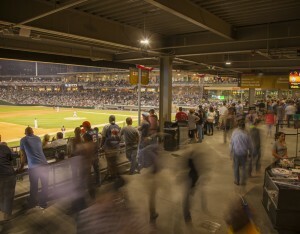 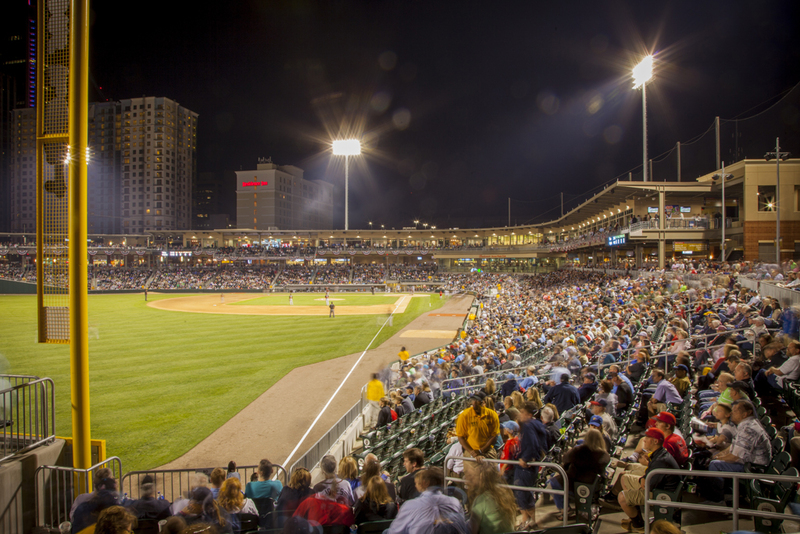 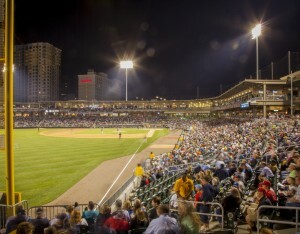 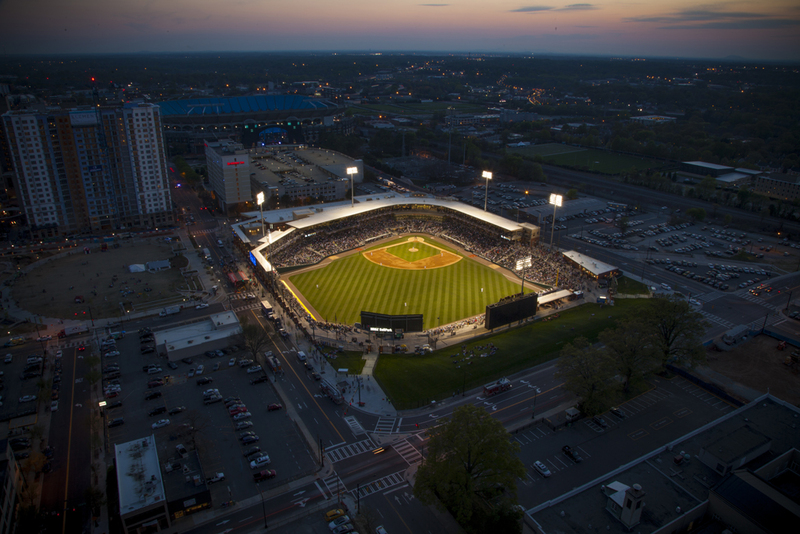 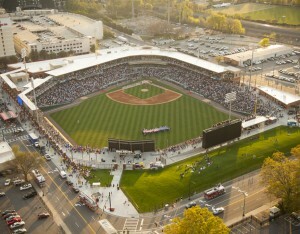 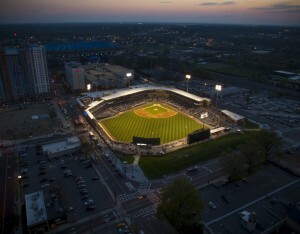 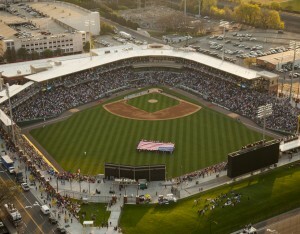 On April 11, the Charlotte Knights played their first home game in the new BB&T Ballpark, constructed by Rodgers in joint venture with Barton Malow and R.J. Leeper. 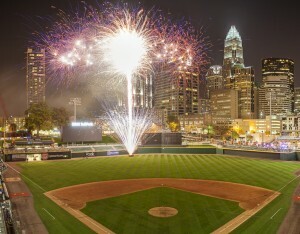 The game was sold-out, with more than 10,000 fans watching from suites, club seats, box seats, outfield bleacher sections and picnic areas, all with great views of the ballfield and Charlotte’s city skyline. 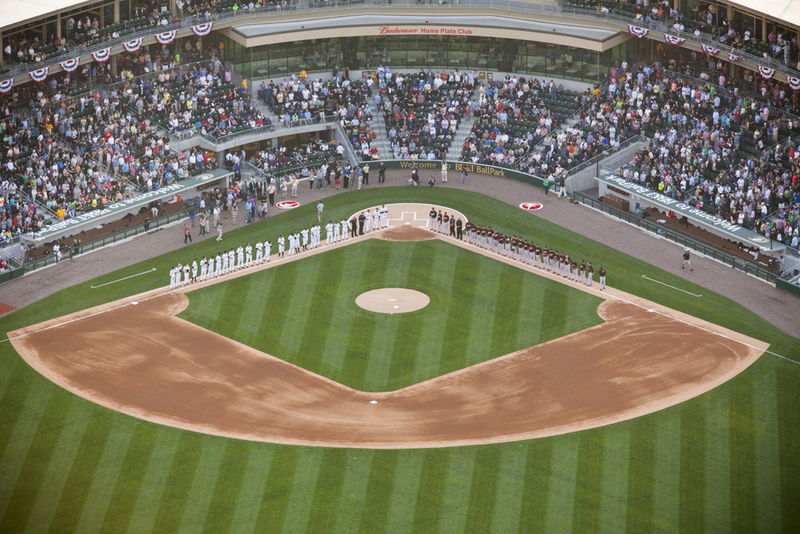 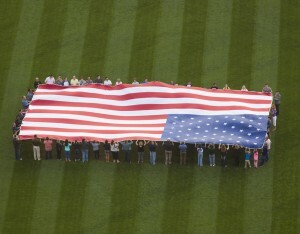 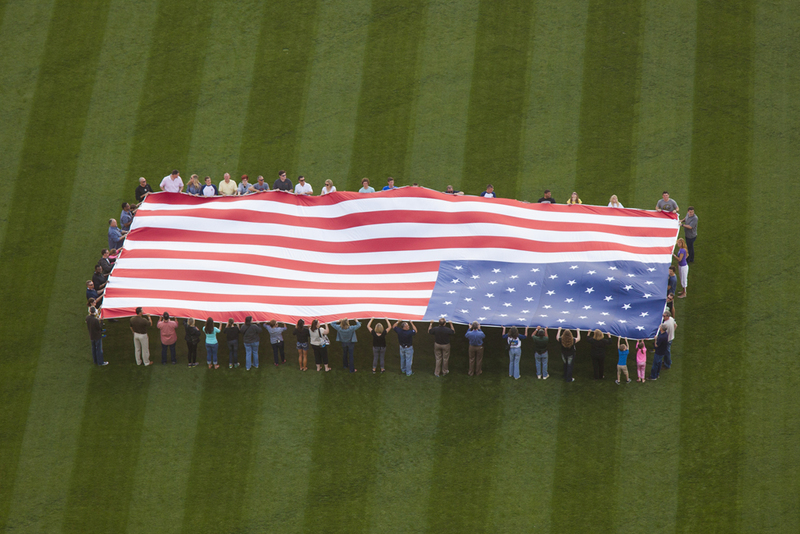 The construction team participated in the Opening Ceremony by carrying a 30’ x 50’ American flag onto the outfield just before the singing of the National Anthem and the first pitch.